There could be a variety reasons why you randomly thought, “hey, maybe it’s about time I sell my car.” Maybe you’re struggling with bad credit, and part of your profit will go towards a cheaper vehicle that better fits into your budget. Maybe you’ve just had enough of the car, or maybe you’re looking for an upgrade. Regardless, there are a number of things you should keep in mind before you decide to deal off your ride. A clean car that looks good as new will boost your vehicle’s value, and it will likely sell much quicker than a dirty, older-looking car. The outside should obviously be spotless (or as spotless and devoid of grime as it can be), and there are a number of products that will cover up scratches and other imperfections. It may sound silly, but washing your exterior will end up being very important when it comes to appearance, especially in advertisement photos. The old adage says “don’t judge a book by it’s cover,” but online shoppers often do just that when they’re shopping for cars. 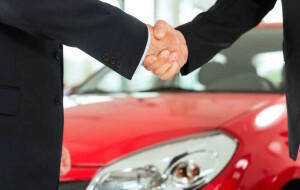 Therefore, you need your car to stand out to a potential buyer. Make sure you find a bright, scenic location… and don’t use your phone to take the picture. You could even go as far as to hiring a professional photographer, although there’s no reason to go overboard. Cleaning the inside is the more annoying task, and you want to make sure you get to every corner of that vehicle. This includes the seats, ashtrays, carpets, glass and dashboard. It’d be a good idea to pick up any wrappers or loose change, and if you happen to smoke in your car, a steam cleaner could do wonders in reducing the odor. You can even hire a service that specifically caters to cleaning used vehicles. The “Odor Doctors” have found ways to remove the smell of rotten food, pet urine, road kill… even a dead body. You’ll also want to assure that all of your vehicle’s mechanics are working properly. This includes having the oil changed, making sure the engine is operating, and testing the brakes. You’re not necessarily required to follow through with all of these repairs, but expect potential buyers to use the car’s problems as a negotiating tactic. You’ll likely be kicking yourself if you learn that you dealt your car for significantly less than market value. The best way to avoid this is by comparing the suggested prices on various car-selling websites. See how much your vehicle is selling for on Craigslist, and then refer to Kelly Blue Book, Edmunds.com, or any other website that gives a suggested price for a used car. – Convertible and sport car sales fluctuate based on the season. You’re not going to have as much of a market selling your open-roof car during the winter. – Vehicles typically used for work, like big trucks and vans, seem to maintain their value and “command competitive prices.” These vehicles are often used for little outside of work, so you’ll see little wear and tear on these rides. – Collector or antique cars are tougher to gauge. It’s a niche market for antiques, meaning the vehicle will likely sit on the lot for a while. Furthermore, it’s tough to assign a price to such a car. After seeing all of the estimated values, set a price that you think is fair. It’s important to price the car competitively, giving yourself a bit of wiggle room for the inevitable negotiations. When it comes time to haggle, I always say start on the higher side of your estimate. It’s usually a given that your price will go down. It’s going to be tough selling your vehicle if you don’t let anyone know that it’s up for sale! It takes a lot more than placing a ‘For Sale’ sign on the front dashboard. You have to be committed if you want to earn the best possible deal. Reed suggests visiting a number of websites to find prospective buyers, like Craigslist or eBay. You could also access peer-to-peer sites (which connect buyers and sellers in online marketplaces), message boards, and social media. 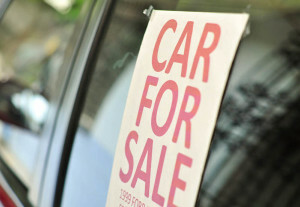 While you may not necessarily get the best offer, you should also consider selling your vehicle to a local dealership. You might be able to gain some value if you agree to use your earnings on a new car. We understand if you’re emotionally connected to your vehicle, and it may be tough for you to watch as others nitpick and try to drive down the value of your beloved ride. Unfortunately, this is all part of the process. You don’t necessarily need to invite potential buyers to your house, but if you agree to meet up at a crowded, well-lit location, you should be prepared to let them take a look around. It’s not unreasonable for a buyer to want to take a test-drive, in which case you should accompany them on the short ride. You may come across a customer who wants to take the car to a trusted mechanic, which could be avoided if you already have an inspection report. If you don’t, make sure you trust the other party before you let them take your vehicle to a mysterious location (although it’s a pain, it may be best to accompany them). In the long run, it’s better to get these issues checked out and handled right away. It’s not illegal to deal your car without a bill of sale, but it could be a potential life saver if you run into any future issues. The bill of sale indicates who is selling the car, who is purchasing the car, any attached conditions, and the agreed upon price. This is the probably the most essential task, so we saved it for last. You don’t want to be selling a death-trap, and you don’t want a potential buyer to use you car’s faults for their negotiating advantage. That’s why getting a simple checkup is always a good idea before you put a car on the market. If you ultimately need to put down money for some repairs, remember that the alternative is selling a faulty (and a dangerous) car. Are you ready? You can minimize your car-selling risks by following our guide. This should lead to a smoother experience, and maybe you’ll earn some extra, unexpected bills in the process. Of course, if you’re in the Cincinnati, Ohio area, head down to McCluskey. 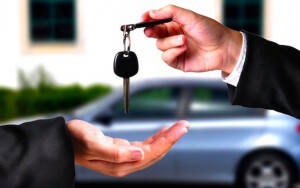 You’ll get a great deal on your car, and you can be assured that the entire process will be easy and pain-free!